*First round evaluations took place September 2018, however, you may still register for the January 2019 evaluation. • This is a competitive, skills based traveling league and an evaluation is used. There is a risk that cuts will be made, and no player is guaranteed a spot on any team regardless of team placement in 2018. For those who wish to skip the evaluation process, play in the recreation league and have equal playing time. • U10-U18 play in the Big West Softball league and 2 local tournaments. • Your age on December 31, 2018 determines where you play in the Big West league. Anyone in 3rd grade born after December 31, 2009 is eligible to partipate in the 10U League. 2nd Graders are NOT eligble to participate in this league. • There is no guarantee that there will be enough players to fi ll out any team. If there are enough girls multiple teams could be created as well. WAA and the Softball Advisory Council will evaluate and have the right to move girls up a level or shift to another team as it seems fi t based on tryouts and numbers. • In the event you were evaluated and not selected to the Big West Fastpitch League team or the tournament based team you will receive a full refund minus the $15 evaluation fee/$10 processing fee. An email will be sent after evaluations to explain additional softball options. • League games will be played one or two nights per week, Mon-Thursday, however, if games are rescheduled due to weather you could potentially play Fri/Sat/Sun. The league plays double headers on game nights. Tournaments will be on weekends. These will confl ict with other programs, i.e Waconia Marching Band, MYSA Soccer. • Full payment & registration must be turned in PRIOR to January evaluations. There is no late fee until January. If registered between January 3, 2019 & January 20, 2019 please add $30. There is a payment plan option available, contact Community Education & Recreaton for details. There are no payment plan options after January 2. • Teams will be determined after January 2019 tryouts and are based on tryout scores and strength of team, not by the number of kids that tryout. • Coaches, players and parents will have to sign a code of conduct form before the child is allowed to play. 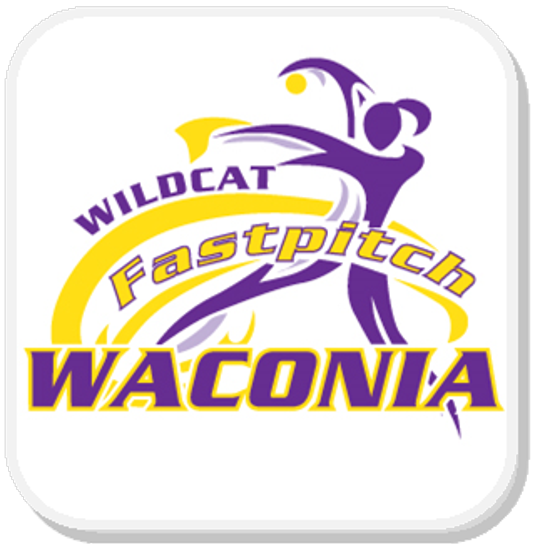 The January 2019 evaluation will take place at Waconia Middle School Gym. (Bring your glove, bat & wear your gym shoes.) The January 20th evaluation is mandatory if you did NOT attend the September 2018 date. All girls are strongly encouraged to return to evaluations in January 2019 regardless of September 2018 evaluation attendance. Teams will be decided by the end of January 2019. Please Note: Players may be assigned to a higher level of play by WAA/Softball Advisory board pending registration numbers, skill level and team needs. Big West Fastpitch Softball League Fee: $350 (January 3, 2019-January 20, 2019 Fee: $380) *Register with your birth year. Teams will be coordinated accordingly U10-U18. Fee Includes: A uniform top to keep, two tournaments, game and field supplies, administration and a $15 non-refundable evaluation fee/$10 processing fee. **Other fees may apply based on if the team/coaches decide to play/ qualify for additional tournaments and/or have paid coaches. *Register with your birth year. Teams will be coordinated accordingly U10-U18. Fee Includes: A uniform top to keep, two tournaments, game and field supplies, administration and a $15 non-refundable evaluation fee/$10 processing fee. **Other fees may apply based on if the team/coaches decide to play/qualify for additional tournaments and/or have paid coaches. A full refund will be given minus $25 (processing and tryout fee) from August 23, 2018 - January 20, 2019. After January 20, 2019 no refunds will be given.